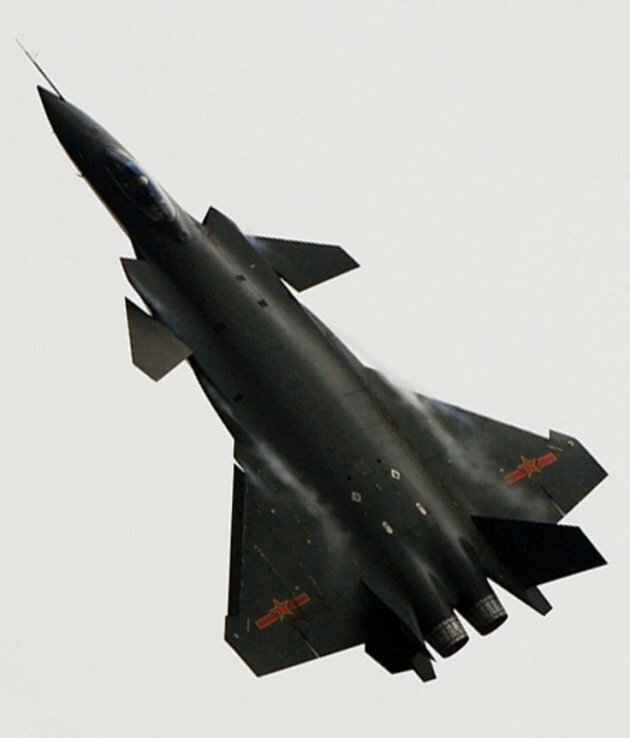 The Chinese Chengdu J-20 “Black Eagle” is a twin-engine, multi-role, fifth-generation strike fighter jet. 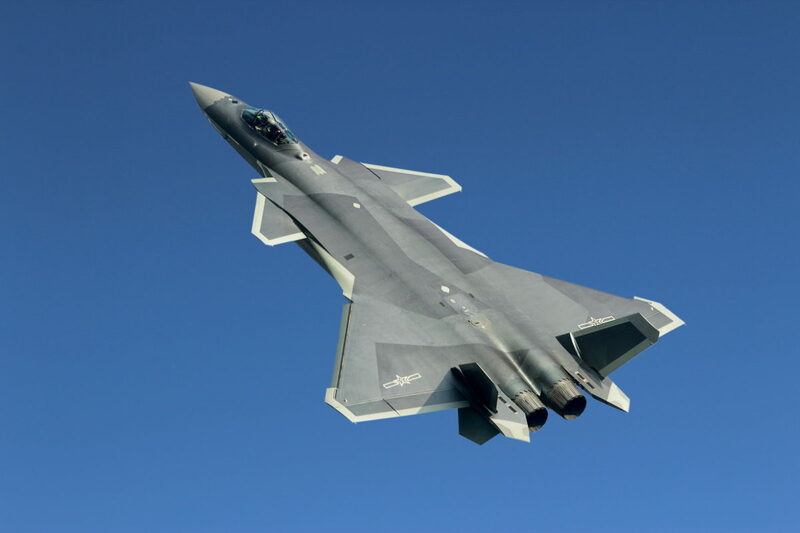 Its main role is expected to be a long-range strike fighter against primarily ground targets but capable of engaging in air-to-air superiority contests. 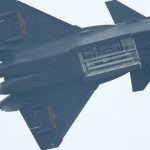 Although there were setbacks in production of its WS-15 engines, the J-20 entered service in late 2017. 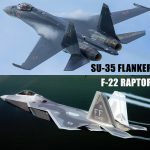 Aviation and military analysts have noted its striking similarity in appearance to the Lockheed-Martin F-35 Lightning II. 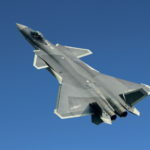 Its anticipated role as a fifth-generation, multi-role aircraft will make it a primary contender to the F-22 Raptor. 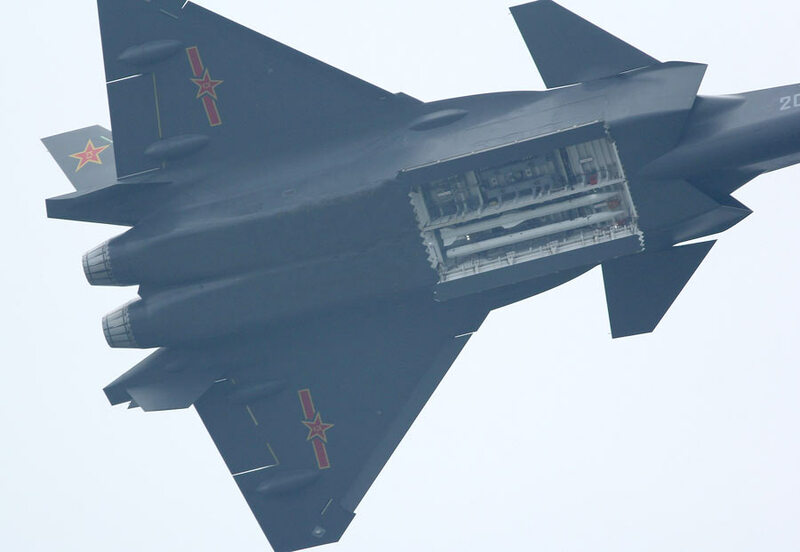 One of the main defining capabilities of the J-20 is its internal bomb bay. 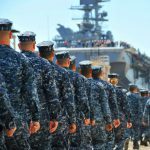 It is exceptionally dangerous to conventional ground forces and ground-based fire control. 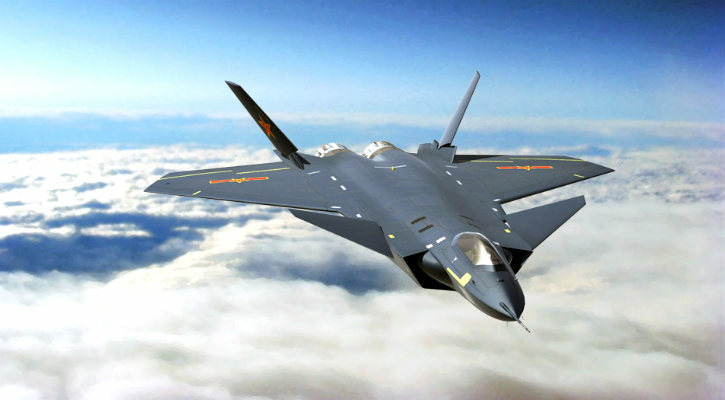 Its main weapons bay can hold both short-range and long-range air-to-air missiles. The two, smaller lateral weapon bays, which open and close before and after firing missiles in order to enhance stealth, hold short-range air-to-air missiles. 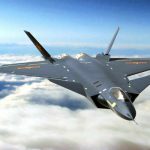 The biggest threat posed by the J-20 will be its ability to approach and potentially strike naval assets. Internal bays allow the J-20 Black Eagle to keep its air-to-air and air-to-surface armament retracted until ready to use. 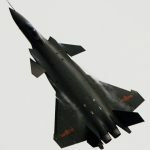 The Chengdu J-20 Black Eagle can quickly move into strike range, fire payload and return to base before the ship is able to use counter-measures. 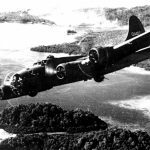 And with more fuel than the F-35, it can stay in the air longer without requiring in-air refueling. In 1999, an American Lockheed-Martin F117A Nighthawk was allegedly shot down over Serbian airspace during the Kosovo conflict. 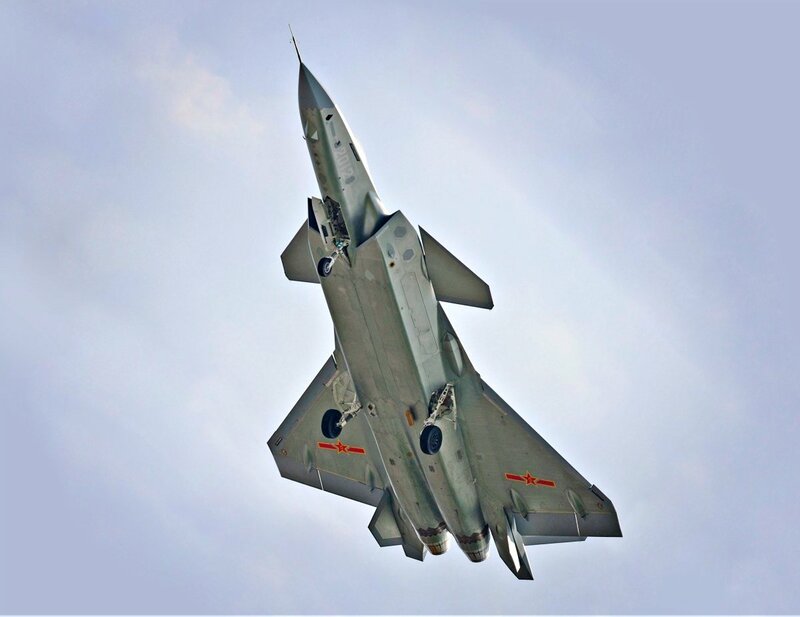 While the pilot managed to eject to safety, the Russian and Chinese intelligence wasted no time in weeding through the wreckage to discover how the F-117A managed to evade most radar technology so well. 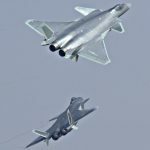 Multiple sources allege that both China and Russia used information obtained through this and other illicit sources to develop their fifth-generation multi-role stealth fighters like the Chengdu J-20 and the PAK FA T-50. 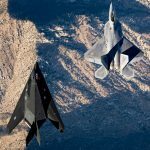 Between the F-117A crash and information obtained on the United States’ development of the F-35 Lightning II, aviation experts have noted the stunning similarities of the two aircraft. Stealth design that reduces sharp or obtuse angles. 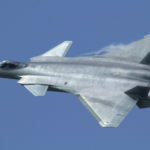 Actively Electronically Scanned Array (AESA) radar located in the nose. 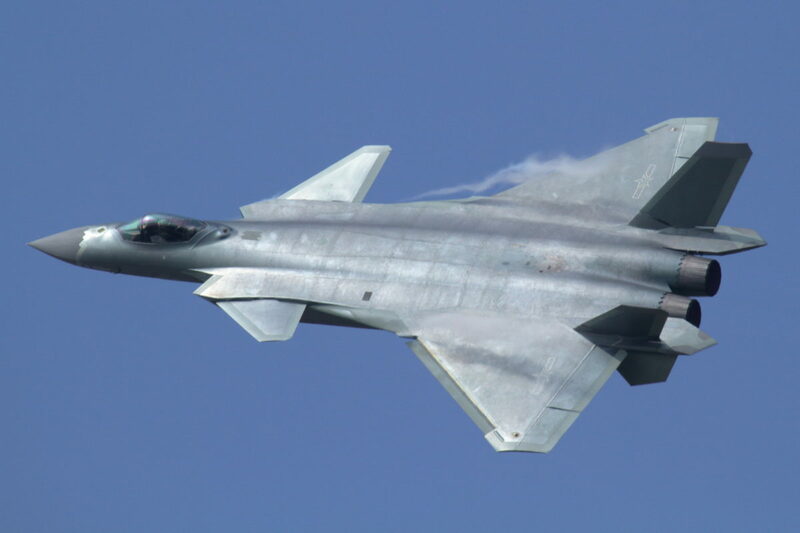 The only aspect where the J-20 outshines the F-22, and even the F-35, is range and weapons bays. 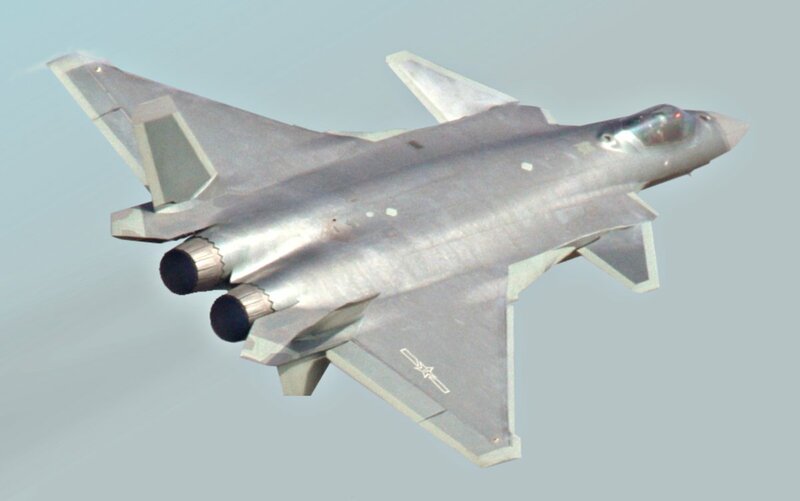 Chendu’s J-20 fuel capacity and larger internal weapons capabilities are greater than those of the US fighters. 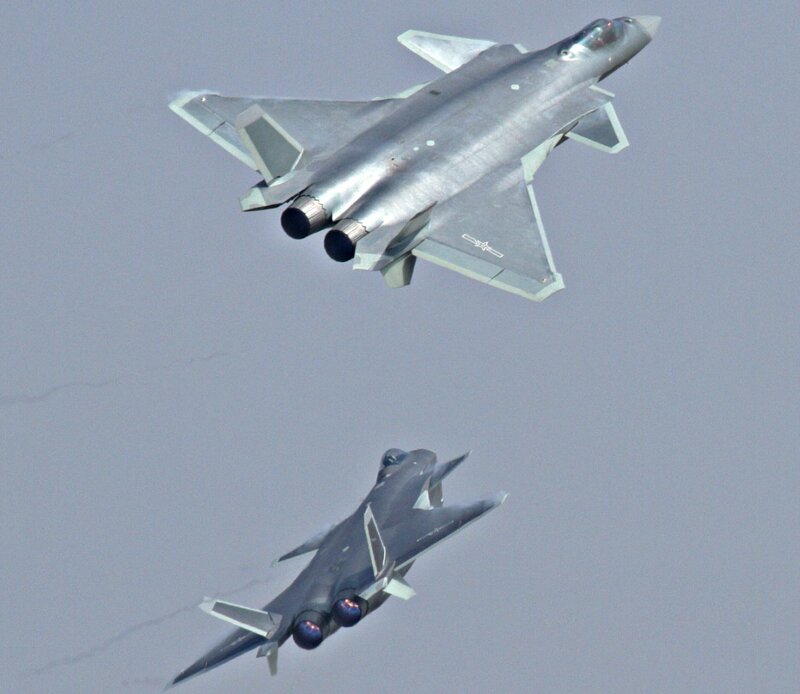 This is where the design similarities begin and end between the Chengdu J-20 and the F-35. 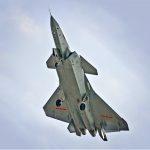 When it comes to engine power, the Chinese anticipate the use of an upcoming WS-15 jet turbine engine but currently rely on Russian-made Saturn AL-31F engines. The Saturn AL-31F engine is presently used in Su-27 Flanker. 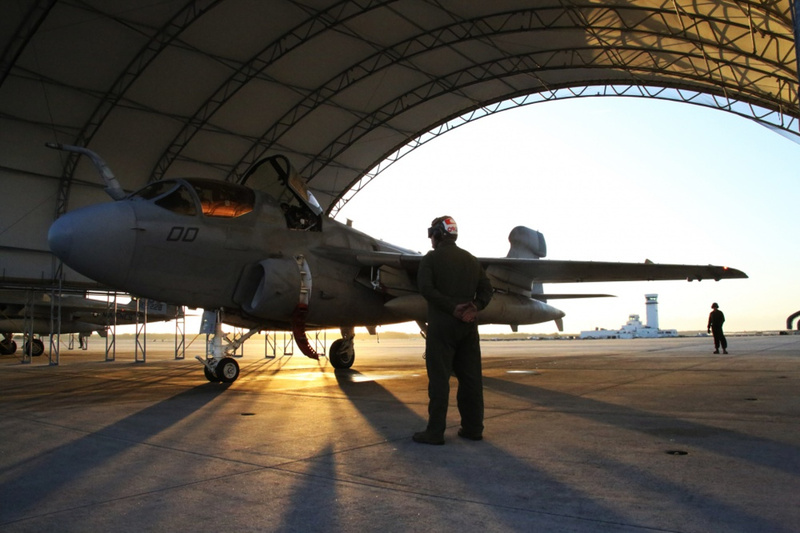 It’s an older engine but still capable of amazing aerodynamic features for a strike aircraft. 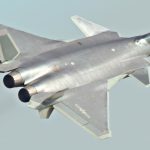 At present, the J-20 current prototypes rely on either two Shenyang WS-10G afterburning turbofans or Russian-made AL-31F turbofans. When equipped with the Russian-made Saturn AL-31F engines, they produce a dry thrust of 17,125 lb-ft each or 27,500 with afterburner. Unit Cost: $110 million USD.